Give the wine aficionado on your list the perfect gift this year with For Your Party’s Inspirational Wine gift set. 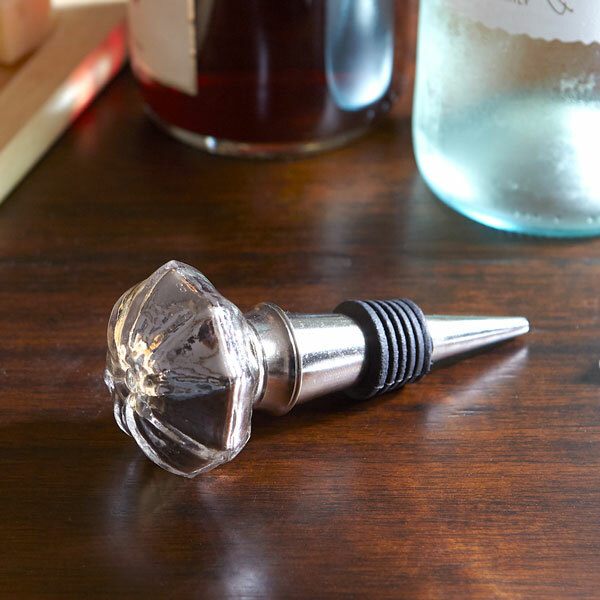 Complete with 3 different coordinating sets of cocktail napkins and a fabulous silver mercury wine stopper, this unique gift idea is both gorgeous and useful! 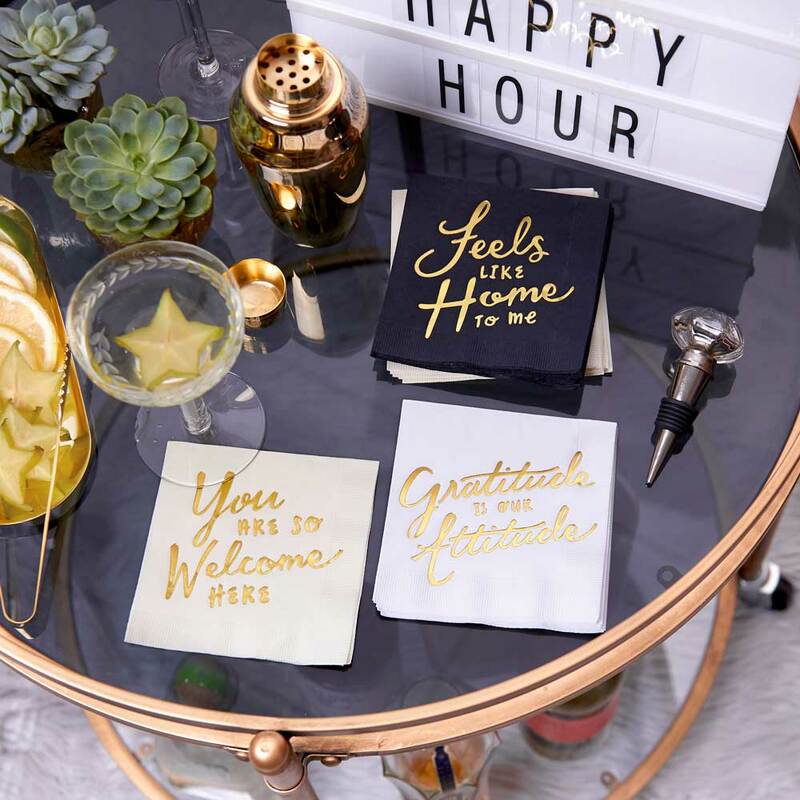 With trendy foil stamping on the custom cocktail napkins and gift ready packaging, the wine lover(s) in your life will appreciate the designer curated item that will give their bar cart a boost of chic style. Not just for holiday gifts, the Inspirational Wine gift set makes a lovely hostess gift, housewarming gift, or even for a stock the bar party. Need a last minute gift? 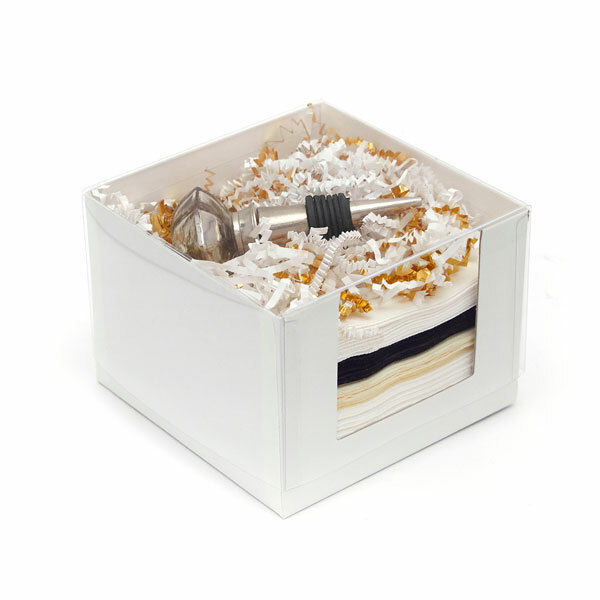 For Your Party’s bar cart gift sets have same day shipping, and are gift ready- no need to worry about finding the wrapping paper! The Inspirational Wine gift set is a unique gift idea, sure to please even the person on your list who has everything. Order extra bar cart gift sets for last minute gift giving, or simply keep an Inspirational Wine set on hand for impromptu partying. Give a gift this year that will be appreciated, used gladly and remembered always- For Your Party’s Inspirational Wine bar cart gift set.